Peta & Andrew married at the sublime Morden Hall in London, minutes from the famous Wimbledon tennis. Morden Hall is an eighteenth century country house only nine miles from London’s West End. With 125 acres of National Trust gardens, it’s no wonder that guests are wowed by this very special venue. 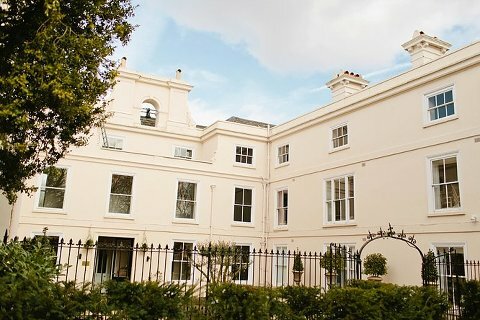 Of course, a wedding at this venue is unique even by London standards. Barely a few miles from the hustle and bustle of the city and yet this is a country setting. Guests continue to be blown away by the surroundings of this wonderful place. Peta’s morning began with her friends and family in the bridal suite. As you’ll see from the images below, I captured all the fun and smiles as the day unfolded. 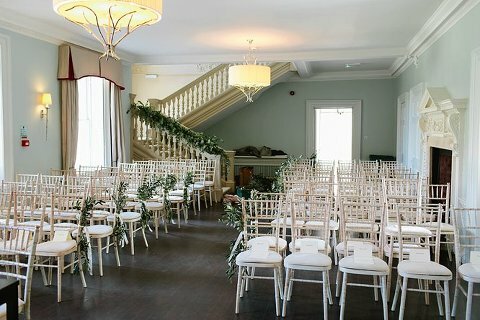 The hotel looked dazzling as I took photographs of Peta’s beautiful Rembo Styling wedding dress, flowers, shoes and rings. And whilst we’re on the subject, what about those flowers? Absolutely beautiful florals from local designer Flowers By Eve. The groom Andrew looked super sharp in a contemporary navy suit from Moss Bros. Bless him, Andrew waited very patiently at the top of the aisle (or is it the bottom of the aisle?!?) for his bride, Peta who thankfully didn’t keep him waiting for long ? ! Peta looked stunning in her wedding dress and veil as she carefully walked down the staircase escorted by her bridesmaids. It’s not often that you are treated to a bride and groom greet each before the ceremony! It was a rare treat for me and for the waiting guests. The jubilation on Andrew’s face was so apparent. So together, bride and groom Peta and Andrew walked down the aisle hand in hand. It was quite something to see I have to admit. After two moving readings, the register was signed by the newlyweds and witnesses and the ceremony was over. I’m afraid there are no confetti shots to share here though! Canapes and champagne drinks were held in the beautiful grounds. Later on I whisked Peta & Andrew off for some couple portraits and group photographs. The wedding breakfast room was decorated beautifully in a simple, natural colour scheme which suited this immense setting perfectly. I have to say that I also really loved the long tables. I have noticed that having guests sat on long tables really seems to help with conversations too. Anyhow friends and family were entertained to four humorous speeches including a very confident speech from bride Peta. I did my best to capture all the joy and emotions. Then it was the cutting of wedding cake and a superb first dance. The dancing continued on until the wee small hours, long after I was in bed! P.S. Couple of missed vendor credits. Brides hairpiece: Gillian Million. Bridal shoes: Rachel Simpson.